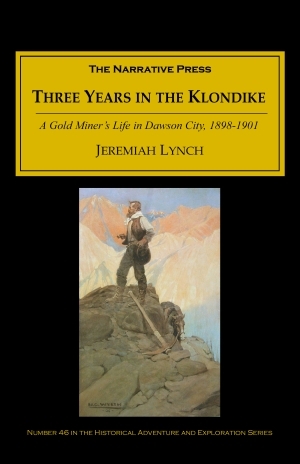 Jeremiah Lynch was a successful businessman and politician who went from San Francisco to the Klondike in 1898, two years after gold was discovered. Life in the town of Dawson City, which flourished and declined in tune with the fortunes of the gold miners, was difficult and dramatic, but there were definite rewards. …one did not go to the Klondike for ordinary chances – those could be taken or had anywhere; but the man who ostracized himself from the world, who was ready to live on bacon and beans, who separated himself by a wall of ice and snow 600 miles thick from the nearest post or point to which came regular tidings of the world’s doings, who was willing to live thus for years — such a man was entitled to expect a recompense somewhat higher than might be vouchsafed the one who remained in those lower latitudes where the birds sing their daily carol, where the sun rises every day, and one can go, if he will, from place to place without either freezing or starving. Jim was sick and feeble, and nearly froze before he could make a blaze in the frost-surrounded stove…The fire expired that night for lack of fuel, and the next morning he could not leave the bunk. His gums began to ache and swell…and like a flash came the knowledge that it was scurvy…There he lay for thirty days…He gathered frost from the wall…with his frozen hands. There was an ample, daily-increasing supply of this food, and with the cup and candle he melted it into water. He immersed flour in this tepid fluid and devoured the mixture, sucking as dessert a lump of sugar…He was like the petrified semblance of a man. 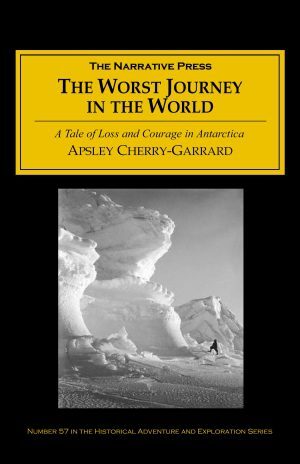 His cabin was covered from sight by snow and ice, and the gloom of his sepulchre was terrible. It was difficult to imagine a more desperate condition, and yet he was rescued – only, indeed, to die a little later in Dawson. The Eskimos had several methods of catching [salmon], but the oddest was by means of boards a foot wide and an inch thick, nailed together lengthwise in a triangular shape, resembling a long spout, and but a little wider than a good-sized salmon. This was submerged in 5 feet of water a foot from the surface and 20 yards from the shore. The salmon swimming along the side of the shore, against the strong current, went straight into this simple trap and could not get back, as not one could turn, and those in the rear pressed on those in front. We saw eighteen massive salmon taken from one of these spouts in a few minutes. Unless a woman had means or relatives, the only resource was the dancing-hall… Men who never before knew faro or roulette were betting largely and recklessly after a few days’ stay at Dawson…The long voyage seemed to have sapped their principles, and the whole environment of the place was that of another and a worse world. It was all a game of chance, and perhaps the gambling tables would be as propitious as the mines. Lynch livened up his stories with wonderful details, and perhaps exaggerated gold measurements and temperatures for dramatic effect. 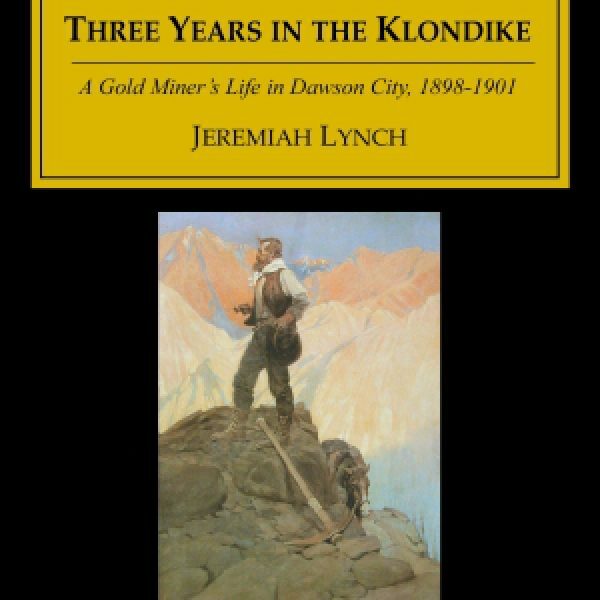 But, as Lynch himself pointed out, anyone willing to shiver through a Klondike winter ought to be allowed a little leeway, especially when he writes such an engaging book.